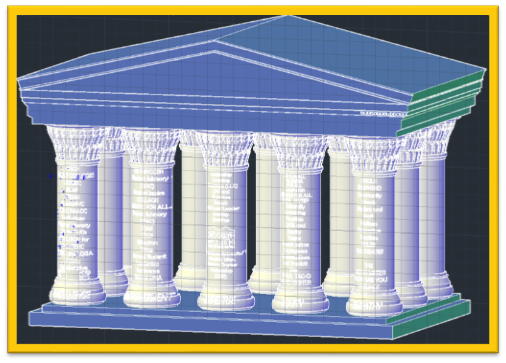 Fountaine, works on the Corinthian Temple in Autocad. The Brooklyn North Temple project is a project that was tasked upon WHSAD for the Brooklyn North Superintendent. 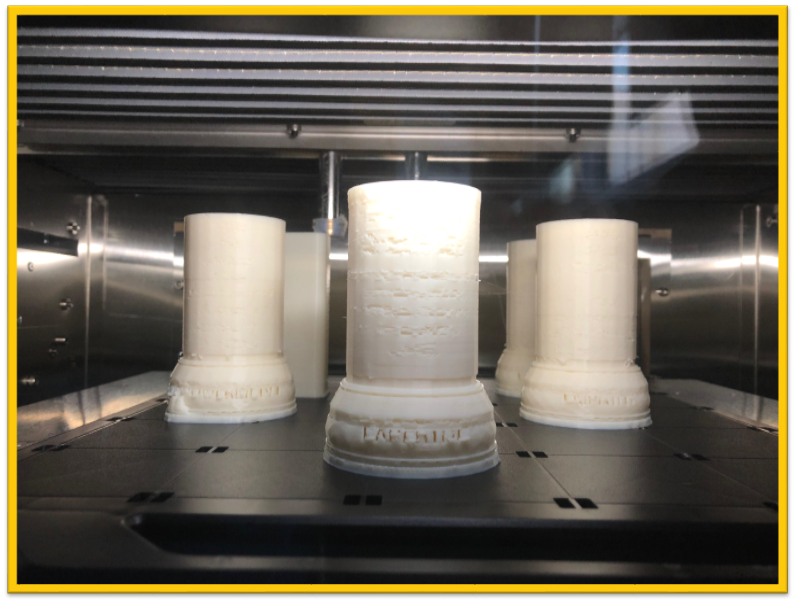 Students were tasked with taking an image from the superintendent, and redesigning it in AutoCAD to eventually 3D print it. 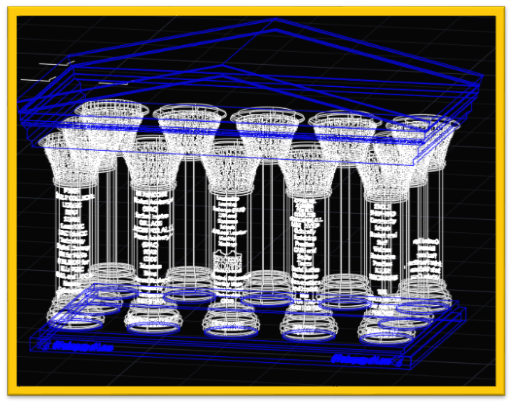 Students worked after hours and on weekends to finish the design in AutoCAD, 3D print it and, lastly, assemble it with lights in the columns. Mr. Codio the Senior Architecture teacher said this about the creation process of the Corinthian Temple: “From the image that we received from the superintendent we took into consideration the historical aspects of the Greek temples and the different types of temples. So we decided that the type of temple we were going to utilize was the Corinthian Temple because it’s the most prestigious one, the most elegant one, with more ordained ornaments on the Capital itself as opposed to the Ionic, or the Doric capitals. The Ionic is a little curved and the Doric is just rectangular in shape, so they chose to go with the Corinthian design. From that aspect, students were able to actually utilize that to start working on their own designs. Then they had to figure out how the text size should be. Because of this, the text dictated the actual size of the model. Also we couldn’t make it too large so that it could be printed on time and hit the deadline. From that, we focused on how we could slice it and combine all the pieces that have to be connected and how to subtract various components to later on combine them back together. From that point on we focused on the last component on how to light the design and how to hollow out the shape. What needs to be hollowed out so the light can transfer through the space and what that required in openings were some of the few questions that we needed to answer during the design process. Lighting it up, as well as limiting the design to what type of wires and what type of batteries we wanted to use, and how many batteries to use, all had to be considered. The Brooklyn North Temple project is a project that was tasked upon WHSAD for the Brooklyn North Superintendent. 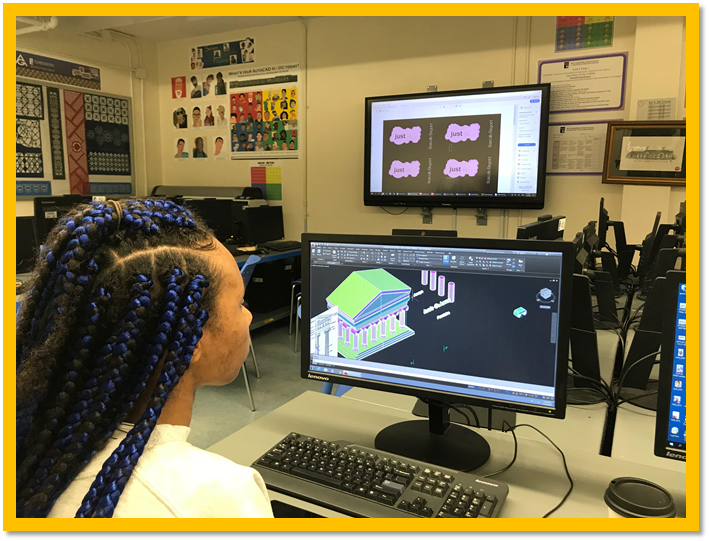 Students were tasked with taking an image from the superintendent, and redesigning it in AutoCAD to eventually 3D print it. 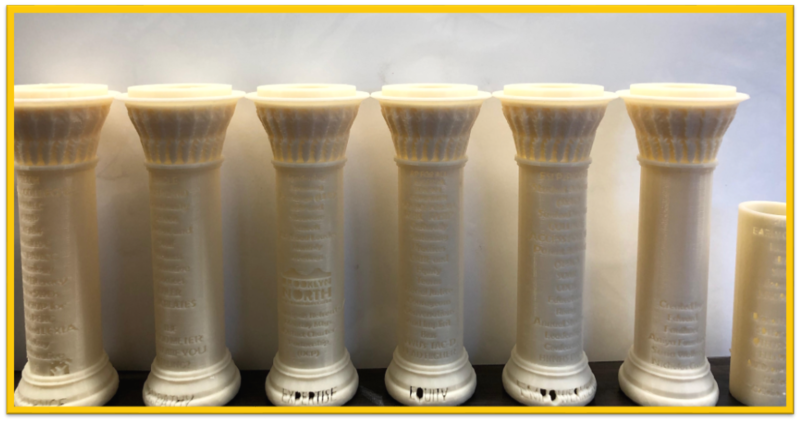 Students worked after hours and on weekends to finish the design in AutoCAD, 3D print it and lastly, assemble it, with lights in the columns.